Look radiant, flawless, gorgeous and timeless on your wedding day with an elegant, bespoke make-up look and hair style that can be created only by a specialist like G.Venkatesh the renowned wedding makeup artist and hair stylist and also coordinate with one lady makeup artist for drapping. Venkatesh has helped many brides look and feel amazing on their wedding day. 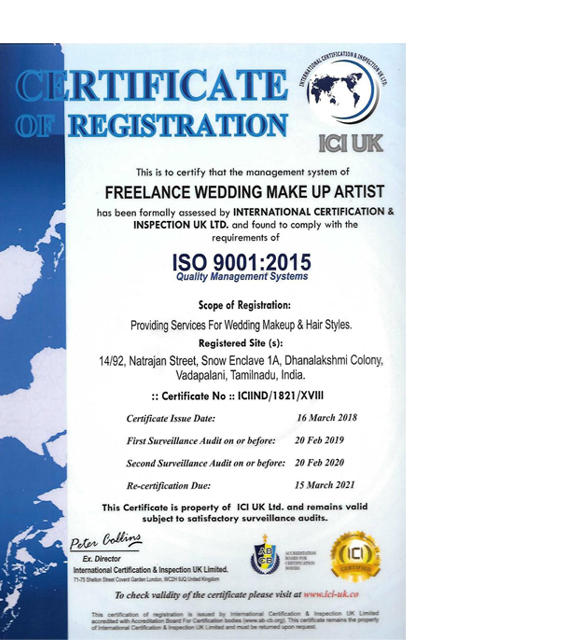 He is a calm and more than 25 years experience of friendly professional with cool approach that will put you at ease and you can sit back and relax knowing you are in safe, experienced and expert hands that can weave magical make up and a dazzling hair-do! 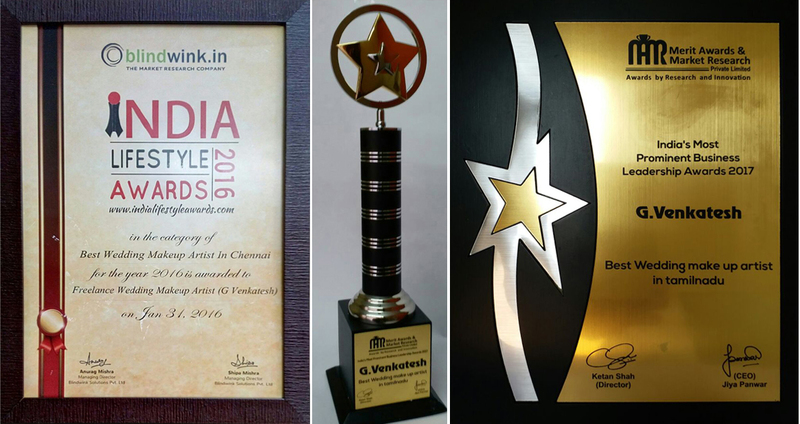 Venkatesh – like any other true artist does not hide you behind a mask. An expert in makeup application of different styles and long-lasting application techniques, he will bring out your best features and enhance your natural beauty and he had attended 3000 marriage function. Wear your bridal looks smartly! We are doing Best Service For Real wedding Brides Makeup in well Manner !! !